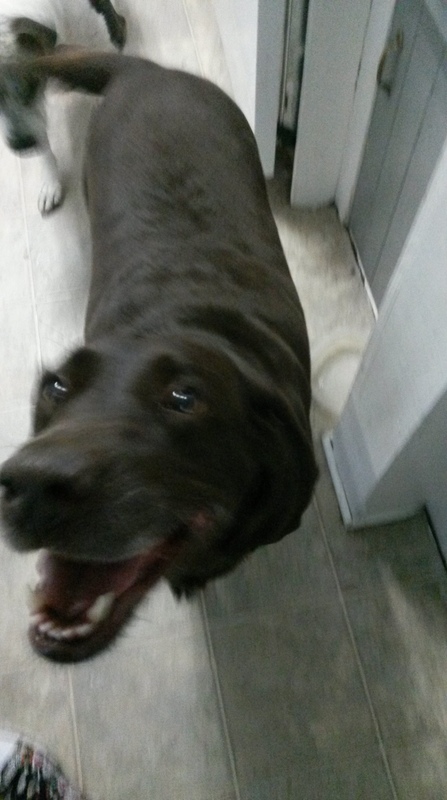 Description of Found Pet: Chocolate lab. Great with kids cats and other dogs. Obvious signs she is an unal­tered female.